Casino Answers » Poker » Online Poker Beginner Q&A » What does “straddle” mean in poker? Poker is a game that is based around its blinds. The blinds keep the game moving and give the players something to play for at the start. Well, what if you want to make things a bit more interesting? What if you wanted to make the pot bigger and have everyone be apart of it? A great way to this is with a straddle bet. What is a straddle? That’s what this article is here to tell you. “Straddle” refers to betting and a “straddle bet” is an optional blind bet made by a player before receiving his cards. 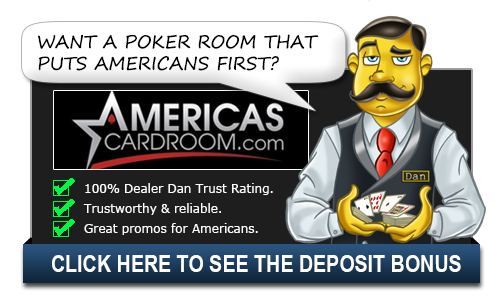 Straddles are only used in games played with blind structures and are normally not permitted in tournaments. Straddle is a live bet; the player placing the straddle effectively becomes the “bigger blind”. The player to the left of a live straddle may “re-straddle” by placing a blind bet raising the original straddle. Some gambling houses allow a “Mississippi straddle”. A Mississippi straddle can be made from any position, although some house rules only permit the button or the player to the right of the button to place a Mississippi straddle. Like a live straddle, a Mississippi straddle must be at least the minimum raise. The player to the right of a Mississippi straddle may “re-straddle” by placing a blind bet raising the original straddle. Why would you straddle? Well, it’s a form of gambling to be sure. The nice thing about poker is that if you are not in the big blind that you don’t have to put out any money without seeing your cards. When you straddle you are effectively taking that away from yourself. However, by doing a straddle you essentially become the big blind and may even win the pot due to folds as the price is much higher to play than normal. Straddles also help to make pots bigger than they normally would be. If you are dealt a good hand, the straddle helps disguise your hand as you won’t have the chance to raise since you already did before the deal. People have a harder time putting you on a hand if you straddle since you didn’t actually act with the knowledge of what cards you have. Of course, the opposite is true as well as you might not be dealt a good hand and then have this large bet and be stuck in the hand. If you are dealt the worst hand in poker, deuce-seven off suit, you might quickly regret doing that straddle bet. The math behind a straddle isn’t there, but it can be a lot of fun in a home game or at a live casino. It gets everyone at the table to perk up and play attention as the pot is twice as big as it normally would be based on the straddle bet. This can lead to a livelier round of betting and a lot of times the straddle bet can be contagious.